Dr. Anita Sharma was only six when she suffered a polio attack that left her paralyzed from the waist down. However, after undergoing several surgeries, she started walking with the support of crutches and calipers. Coming from a family that made sure that her disability would not come in the way of her dreams, she has lived a life that has become an inspiration to many. 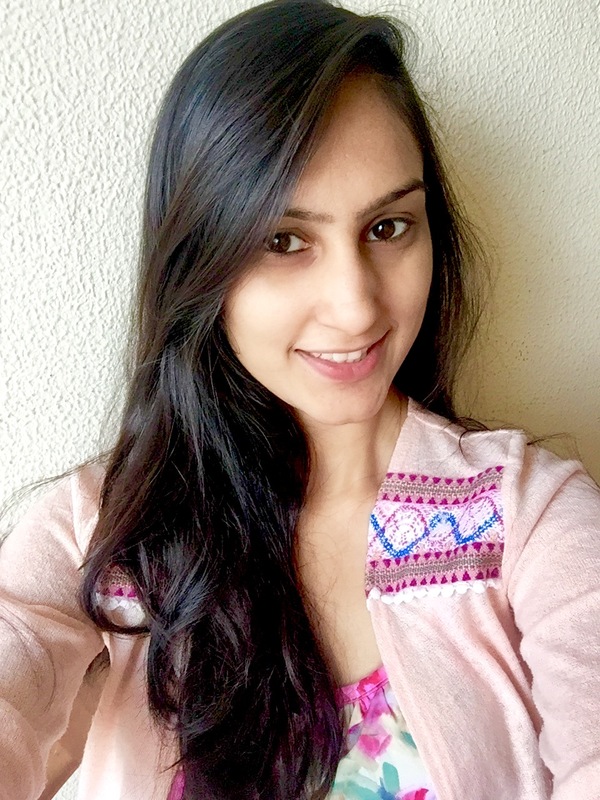 Born and brought up in Jaipur, Anita went on to pursue her Ph.D. at IIM Indore. 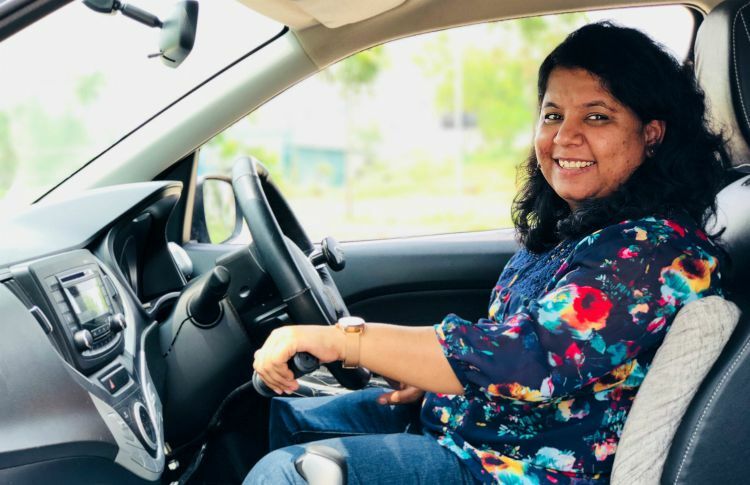 During her time at the campus which was located at a hill, her mobility was made easy with a retrofitted car that she got customized for herself. But while her life was made easy, she wondered about others like her. Having found no driving school for people with disability, Anita realised that the void needed to be filled. 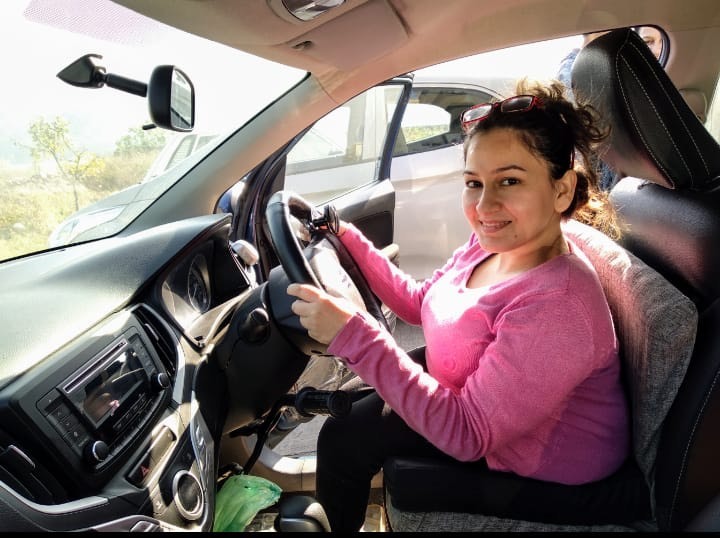 Thus, on a mission to transform the lives of people with disability, she decided to help them by starting a driving school of her own which was named ‘On My Own’. What was the feeling when you drove a car for the first time? It is very difficult to explain. You know, when you are told since birth, that there are a few things that you won’t ever be able to do, but you have this hidden confidence in your heart which whispers that you can. I was always sure that I would be able to drive someday, but my parents were not very sure of it. In the first year of my graduation, I started driving a scooty which had two wheels attached to it and that was pretty easy. But driving that made me realise that it has given me the freedom to go wherever I wanted to go and I was not dependent on anyone anymore. For about eight years I drove that scooty. 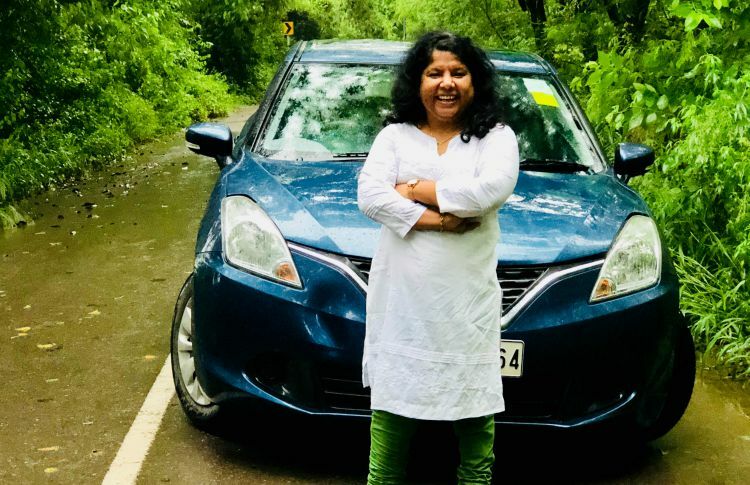 Then in 2009, after I started working as a teacher in Banasthali Vidyapith in Jaipur, a realization hit me that I could now afford a car and I should upgrade my mobility. That’s when I spoke to my parents about exploring the possibility of driving a car. Both my parents were supportive of my decision, but at the same time, they were skeptical as to whether I would be able to manage a car. As both my legs are affected by polio I wear calipers and because of them, I can’t actually press the clutch, brake, and accelerator. So we all had this question in our mind, as to how will I be able to manage that and that’s when I started exploring a way to tackle this issue. During that time I read about Captain Navin Gulia, who is below neck paralyzed, and he is a person who holds a world record for driving from New Delhi to the world’s highest mountain pass Marsimik La in Leh. His story got me thinking, that if he can drive a car then so can I. So I contacted him and got to know about a person who customized cars in Jaipur. That’s when I immediately bought a car and got it modified with hand controls. Within four days my mother taught me how to drive and the feeling it gave me was of liberation and freedom. Wow, that’s truly a story of grit and passion. So, does your venture, ‘On My Own’ come from a desire to break free from the restrictions that are imposed by society on people with disability? The whole idea came from my own personal life narratives which inspired me to do something for people with disabilities. During my Ph.D., I wanted to explore what was happening for people with disabilities, and that’s when I researched about it during my course and realised that I could make my life meaningful by contributing in this space. After completing my Ph.D. in disability and entrepreneurship, I shifted to Chandigarh for my first job where I met a lady who was disabled and was eager to learn driving. She asked me to help her out and within 6-7 sittings, she learnt driving. After that, she told me, “You came as a miracle in my life and I wouldn’t have been able to do this without you.” That was the triggering moment which made me realise that this is something. Driving has been my passion and I always wanted to do something with people with disabilities. After that, I shifted to Amritsar where I joined as a professor at IIM and since I had some free time in hand before the semester began, I posted about my desire to teach driving to people with disabilities on a Facebook page called the Voice of Amritsar. Watching my post, a journalist from Tribune contacted me to cover my story and as a result, many people approached me to learn driving. That’s how I went on to register my company. That has been quite a journey. So how was your experience of convincing people with disabilities that they can drive too? There are two types of people with disabilities. Either they are role models or a subject of pity. People with disability are not considered normal people and that is why they lack confidence. So one set of people are highly confident, who want to prove to the world that they can do anything because people doubt their capability. The first girl I taught was from this category who was very confident. So having such students is not challenging. But then there are another set of people who want to drive, but their families are not convinced because they are concerned about how will they be able to manage it. So to motivate them is a challenge. In order to tackle this issue, I’ve now started interacting with their parents, where I explain the importance of making their children independent, rather than working out a routine life where they have to be dependent on somebody. It’s not that people with disability are not willing to do things on their own, but it’s because of the apprehensions and doubts that the people have about their disability that restrains them. Also, I have observed that people don’t have faith in technology because this is a jugaad innovation. They get scared thinking about what will happen if the car breaks down. So, I want car manufacturing companies to have cars designed especially for people with disabilities and I’m already in talks with a few of them regarding it. That is indeed a great thought. So, according to you, how friendly are our roads for people with disabilities and what provisions do you think are required? I feel the roads are okay for driving because it is all the same for everybody, but it’s the infrastructure that has many issues. People with disability face problems when it comes to parking because firstly, there is no reserved parking for us everywhere and then the public is not sensitive. Even if there are some reserved parking areas for people with disabilities, others go park their cars in them. Then when you come to public spaces such as railway stations; though they are being made disabled friendly with lifts, escalators, and porters being available with wheelchairs, most of the times you will see that these things are not working. Also, when it comes to the entrance of these places, attention is not paid to the height of steps and ramps when they are built. If the entry of public spaces is not made keeping in mind the needs of people with disability, then no matter what provisions you have for them inside, it’s not going to matter. So people need to be sensitized towards these issues and people with disabilities need to come out so that provisions are made according to their needs. Can you elaborate on the challenges that people with disabilities face and how does gender bias make it even worse? Disability is something which anybody can have it at any point in life. There are people who are born disabled and there people who acquire a disability at a later stage due to accidents. So people have a different set of experiences. When a person is born with a disability, the family starts accepting them since their birth and they handle the situation well. But, when a disability is acquired at a later stage, then it comes as a big jolt to the person who goes through it and the family because they cannot imagine their normal functioning of life being hampered. Coming to gender bias, being a woman with a disability makes the whole situation even worse, because families start thinking about what will happen with her. And the biggest issue is that people start thinking about who will get married to her and that’s where the topic ends. People don’t think of making their daughters and women in the family as independent. Fortunately for my family, this was the topmost priority and they made sure that I stand on my own feet. Also, I found out that when it comes to women with disability, they are not able to explore their sexuality. I read in some articles, that all those desires are suppressed in women because they are disabled and people don’t consider them attractive. I haven’t experienced such a thing, but there are females who are experiencing such problems. To address this issue, a matchmaking app named INCLOV was started for people with disability, so that they can also find love. I think it’s a great initiative. They are breaking stereotypes by sending out the message that people with disability are also normal and they deserve to have partners and families just like the others. Tell me about the restrictions that you broke free from. Being a woman there are many challenges that every one of us faces in our country, but being a woman with a disability comes with a different set of issues. I have had my share of struggles which came due to societal pressure. I am single, and people don’t want to marry a girl who is independent and earns more than them. My parents have had a tough time finding a groom for me and so I told them that I will marry someone who accepts me for who I am. People don’t appreciate the fact that a lady is not dependent on them and because of all the societal pressure, I left Jaipur as I wanted to explore and challenge myself. It is the smile and the happiness that I see on their faces when they are driving that keeps me motivated and also the fact that I just forget about the world while I am at it.